Actor-turned-filmmaker Osgood “Oz” Perkins (son of Hollywood legend Anthony Perkins) has made two films as of this writing and based on those two films, I’m officially citing him as the creative muse we should be opting to follow into horror’s future. His 2016 ghost story/mood piece I Am the Pretty Thing That Lives in the House is a veritable masterpiece of ambiguous, immersive and minimalist genre filmmaking (read our review here) and his latest offering, The Blackcoat’s Daughter, is just as challenging, sparse and unsettling. Thing is, this second picture is in fact his first picture. Made in 2015 and screened at festivals under the title February, The Blackcoat’s Daughter was indeed Perkins’ maiden voyage into filmmaking and it loudly (but aesthetically, quietly) announced his mission statement to make understated, slow-burning psychological horror movies that refuse to pander to the obvious. It’s a movie made by an intelligent artist for sophisticated viewers. ComingSoon.net: Now that you’re becoming for mature as a filmmaker, is it strange for you to go back and promote The Blackcoat’s Daughter as your “new” movie? 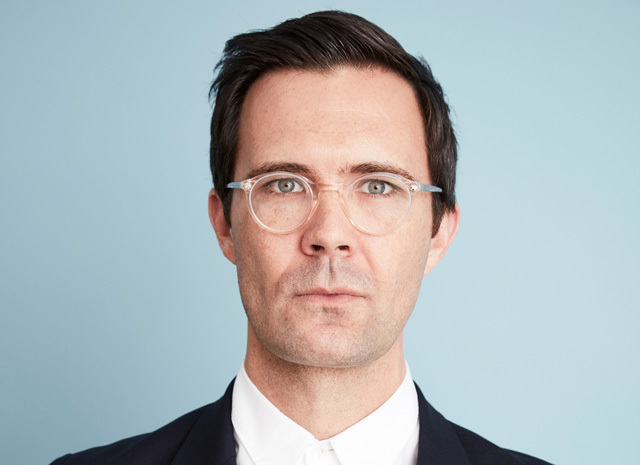 Oz Perkins: Yeah, it’s a little strange…yeah. Because The Blackcoat’s Daughter was the first time I’d done anything. Before that I had no music videos or dog food commercials to my credit and doing this movie for me was do or die. And it was difficult for me to pull it together. So by the time I made Pretty Thing, I at least had my ankles in the water, so to speak. But this movie was a cold bath shock for me. CS: You casually refer to it now as The Blackcoat’s Daughter. Was it easy to embrace the title change? Perkins: Yeah. We shot both movies in Ottawa, this one just outside of Ottawa in a town called Kemptville, and they were so gracious to receive us. And yeah, it was the coldest winter on the Almanac in 40 years. Which made it fun for all of us California fools to try to make a movie. Perkins: He’d never done anything like this either. He’d never conformed musical thought to time or mood. It was a shot in the dark and my producers were intrepid when I insisted that he do it. But I knew he was right for it. It’s not quite a “mind meld,” our working relationship. But I do think that brothers are naturally energetically close to one another; that there is a kind of secret code that’s just there. You cannot help it. My brother and I are good guys but there’s a darkness to both of us which is both really profound and often funny. I knew my brother would tap into that darkness and get the theatricality of what I wanted. CS: Filmmaker Nicolas Winding Refn has said that the creative process itself is a feminine one. And your movies are certainly female-centric. Do you think you are tapping into your femininity when making your films? Perkins: I never thought of that. It’s a very lucid thing to say. He’s obviously been doing this longer than I have so those kinds of articulations gradually come to us. I could only work on intuition when making this movie. There wasn’t enough money or time. No preparation. So I knew that I wanted a woman to shoot the film (Julie Kirkwood, who also shot the stunning The Monster) just because it felt right. And I think at the very least, the best horror films are about what’s hidden from us and what’s more hidden than things that women experience that men can never know. There’s a great mystery to femininity that men just don’t have the insight or language to understand. We don’t have the key code. So I don’t want to say I surrounded myself with women to add a softer touch… maybe a more sophisticated touch?